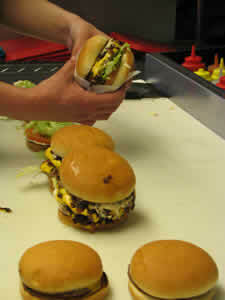 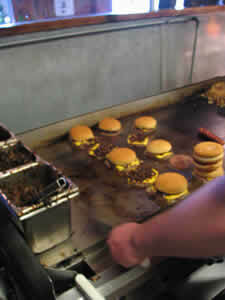 GET THE BURGER, named the 2nd best independant hamburger in the Inland Empire. 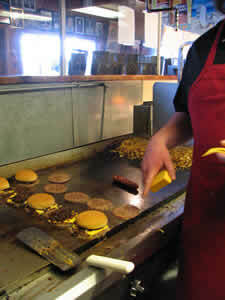 For 10 years, Eric Schwartz served the burgers at fund-raising backyard barbecues. 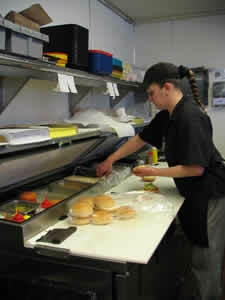 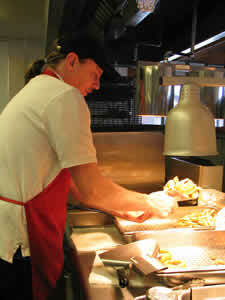 He serves up a savory half-pound double patty with cheese complete with lettuce, onions, tomato and secret sauce. 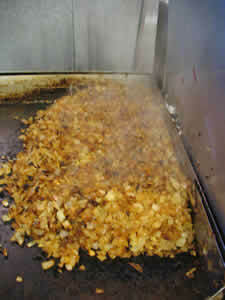 As for that sauce, it really is a secret--his own mums-the-word recipe. 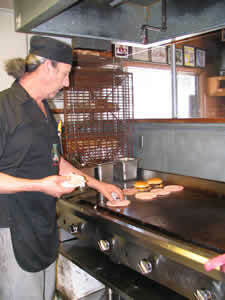 The BEST hamburgers in the San Bernardino mountains.